Greater Houston Orthodontics offers a Complimentary Initial Consultation. Upon your arrival, please notify our receptionist. We can’t wait to welcome you to our office. Dr. Davoody and Dr. Mehr will conduct a thorough clinical orthodontic examination and explain all aspects of treatment. 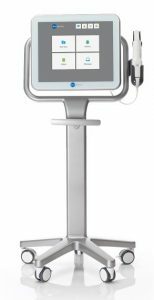 Facial and Dental Pictures – we capture a scan of your teeth and bite with high precision using the iTero Element 3D intraoral scanner. Doctor’s study of the diagnostic records to plan the best course of treatment. Orthodontic records, which consists of x-rays, study models, and a personalized growth study workup to determine your treatment objectives.